I have had many reminders in the past few weeks that we live in a fallen world. A dear woman from my parish died very suddenly. A friend of mine lost a baby to miscarriage. A relative is suffering through the end stages of cancer. And that is just within my personal sphere. Every time I turn on the radio, I hear of more new atrocities and disasters all over the world. It’s easy to get tunnel-visioned with the things of this world. We can get tricked into thinking that the things we have or do here on Earth are it, and our priorities get skewed. Big house, cushy job, success, popularity. It often isn’t until disaster strikes—personal or global—that we remember that this world isn’t our end game, and what we actually long for is something eternal. My heart has been heavy with the sorrow and the suffering that surrounds me. I have been longing for something that this world simply cannot offer. Today’s passage from Isaiah was like a fresh spring breeze blowing through my weary soul, reminding me of what I really long for, and what I can place my hope in. This world is full of sorrow and suffering and death. But thankfully, this world isn’t it for us. Because of God’s greatest gift of salvation, we have the hope of the world to come, where there is no suffering, and as the Psalm refrain says, there is “fullness of peace forever.” Doesn’t that sound wonderful? Advent is a season of longing. We are looking forward to the coming of the Savior. But isn’t that what we should be doing every day? Shouldn’t our hearts be constantly longing for Him, and for our Eternal Home? Shouldn’t we always be ready to meet Him? Sisters, let’s use this Advent to retrain our hearts to do what they should always be doing—longing for Jesus, and eagerly awaiting His coming. 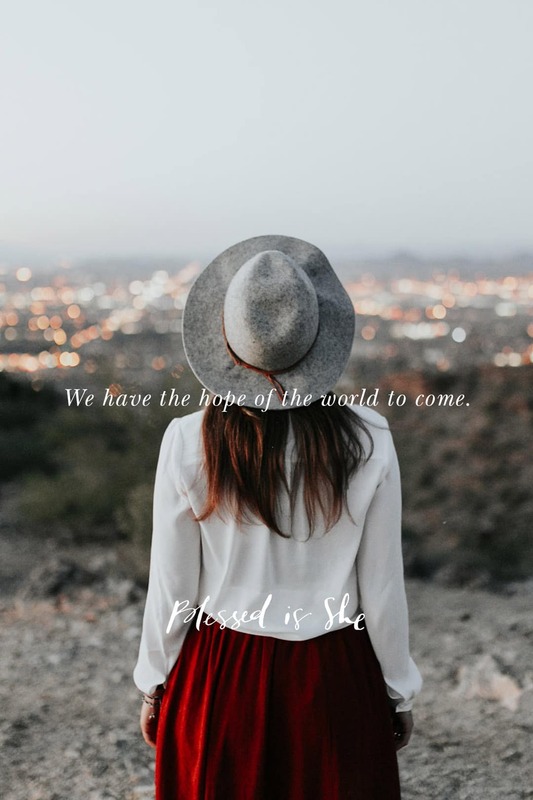 Because of God’s greatest gift of salvation, we have the hope of the world to come. Turn over your sorrow to Him and ask those you love who are also wounded to turn with you back to the Lord.